We would like to thank all staff at Brisson Castle Building & Living Centre (Brisson’s) for their patience, support and cooperative team work during these past couple of weeks. Sometime in the evening of February 25th, a portion of the roof had collapsed due to heavy snow load compromising the entire North side of the store shutting down our entire receiving area. This had further compromised 1/3 of the ceiling throughout the store. The South-West corner of the the store was also compromised by snow load affecting the two story portion of the building. The Management at Brisson's wish to advise that the removal of the snow on the roof of the retail store has been in progress now for 6 days. 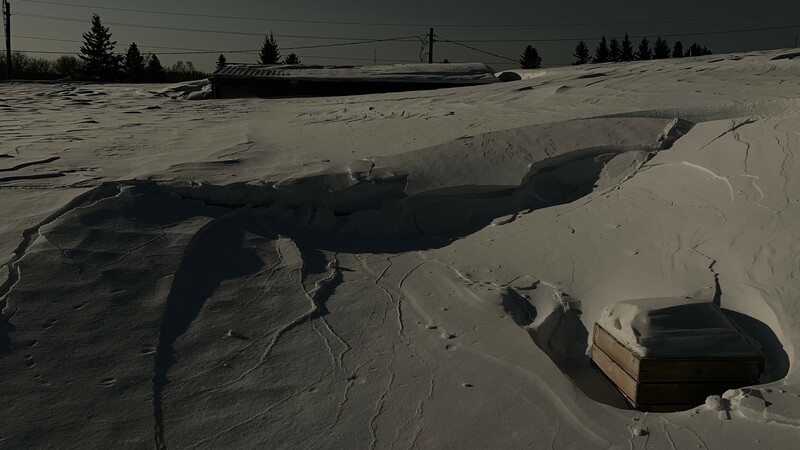 The cause for concern occurred during the past two storms of the third and fourth week in February adding the majority of the current snow accumulation to the roof notwithstanding the high winds during the same 24 hour period. Normal snow load of the store’s roof would be an average of 12” to 18" with slight drifting. Due to the last two storms, there was between 4’ to 8’ of snow accumulation and drifting creating an extensive weight load on roof bearing walls, post & beams. This has never been seen in our 87 year history. Our immediate concern was the safety of our staff and the general public. The store was closed for investigation and determination of remediation to ensure the integral support structure of the building. It has been 9 days since the collapse and we have had to mobilize our sales, accounts, purchasing and management team to an offsite office near by. We have further mobilized our receiving, warehouse, yard, cashier and junior sales staff to the warehouse office. We are limited to access to the store until all snow has been removed from the store roof, the collapsed portion of the roof is removed, and all structural walls, post & beams are verified by the engineers and is deemed safe. The warehouse is open for business. Payments can be made from Door B of the warehouse. Orders can be called in at 705-272-4235, sent by email to info@brissoncastle.com or placed at the warehouse office by entering Door B from the yard. The management of Brisson’s is very appreciative of the business community support, our loyal customers and our vendor partners for their patience, understanding and commitment to working with us through this situation. We will be approximately 15 days before we can gain access to the store and resume retail operations in a limited capacity. Brisson’s is in the business of safety, and our priority is just that: safety first.